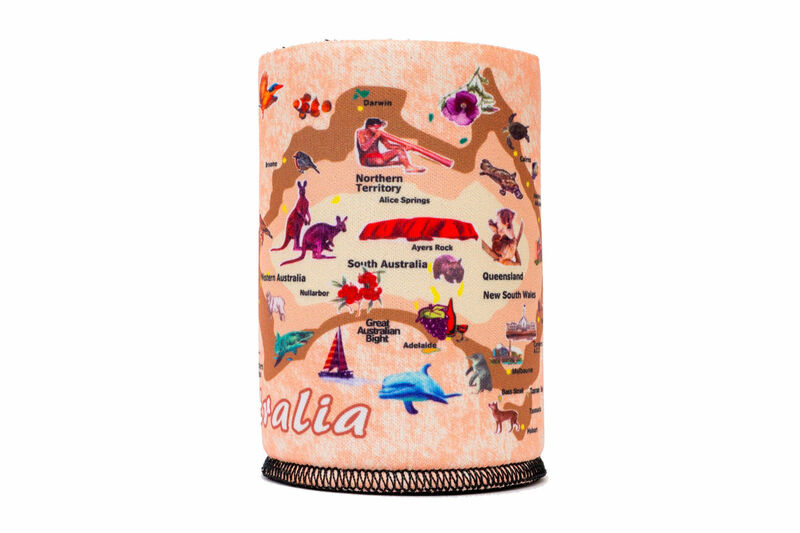 With this Map of Australia Stubby - Drink Holder you can enjoy your cold drinks while reminiscing over past adventures or maybe even planning the next. Enjoy them while telling stories to your friends and family about the different regions and wildlife on the stubby holder, always fun at family get togethers and with mates at a bbq. 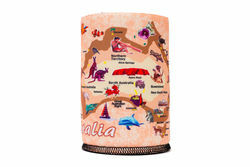 These Map of Australia Stubby - Drink Holders are light weight and make great gifts for family and friends overseas. They are great for kids. The kids can learn about different wildlife species while they have a cold drink. 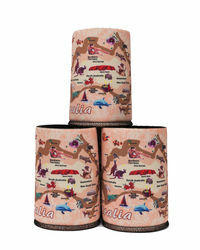 Why not order a few to keep on hand, someone always leaves their stubby holder at home.